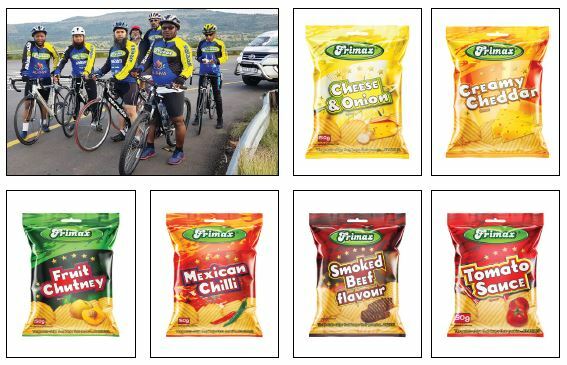 On the 20 October 1982, the very first packet of potato chips was produced by a new start-up company in Pietermaritzburg, KwaZulu-Natal (then Natal) called Frimax Foods, headed by a 37 year old visionary, Mr Haroon Essa. Frimax Foods has grown to become a household name and a major player in the multibillion-rand potato and corn snack manufacturing sector. The company celebrated its 35th anniversary in 2017. Frimax Foods operates a 12 000m² high-tech processing plant in Verulam, KwaZulu-Natal. Products manufactured include potato chips, corn chips, maize puffs and nax. Mr. Essa entered an industry in which he had little knowledge or experience. However, he has successfully steered his ship through previously unchartered, and at many times, stormy waters. The company began its operation during a period of instability and relative uncertainty in the country, and economic conditions ere extremely unstable. For a person of Indian heritage, starting and investing in a business at this time was considered extremely risky. However, Mr Haroon Essa had a vision that was ahead of his time. He intelligently identified a gap in the snack market, put his shoulder to the wheel, so to speak, and due to his ambitious character, and never give-up attitude, he ensured that the company got off the ground, and continued its upward climb to success. His sons, Abdool Kader (Baboo), Shamir and Faizel Essa both started out on the factory floor as teenagers after school and joined the firm as young men - supervising the dispatch of goods and loading on to trucks, reading consumer mail and assessing call logs, even working as machinery operators and frying potatoes. 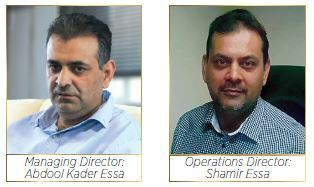 As Baboo, Shamir and Faizel took their respective directorship positions in the company, together with their dad, a formidable team was formed. Mr Essa and his sons run a tight ship; to keep costs at a minimum. They are involved in every aspect of the business. This hands-on approach has enabled them to keep their fingers on the pulse at all times, both in the market place, as well as in the operation itself. Quality is of the utmost importance, and much care is taken to ensure that this is not compromised in any way. Frimax Foods has grown exponentially and caters for various business sectors from spaza shops to retailers and wholesalers as well as chain stores. Initially, the target market was concentrated only in KwaZulu-Natal. However, today Frimax Foods caters for snack consumers nationwide. Hence, many communities in South Africa, who may not have been exposed to the luxury of tasting a potato chip, have had the opportunity of giving themselves, their families and especially their children, a daily treat. The company employs 480 staff at its factory and distribution centres throughout the country and supplies national supermarket chains such as Shoprite Checkers and Massmart as well as independent shops. Frimax runs its own distribution warehouses in Cape Town, Johannesburg, Pietersberg and Port Elizabeth. Frimax Foods now exports 10% of its production across the SADC region to Zimbabwe, Mozambique, Swaziland and Lesotho. Frimax Foods concentrates more on Africa for crisps, because it is a lightweight product and low value in the container and it is regionally based. The business is currently focused on growing its market share domestically and in the SADC region, although there is a possibility it could expand further in future. Frimax Foods has embraced the concept of continuous improvement within its production facility, and constantly strives to increase product quality, whilst at the same time reducing overhead costs. The company endeavours to reduce its carbon foot print on all levels. As far as possible, natural gas is utilised in the production plant to fire up the fryers, ovens and burners, as opposed to the use of electricity or diesel. A state of the art effluent plant has been commissioned and installed at the plant to ensure environmental sustainability. The fleet of 90 commercial vehicles and trucks are always well maintained and renewed on a regular basis to ensure that carbon emissions are kept to a minimum at all times. An objective of the board of directors is to assist with growing the KwaZulu-Natal economy. All staff employed at the head office in Verulam, from senior management to the factory staff, hail from the local Verulam and surrounding areas, thereby contributing to reducing the overall unemployment rate in the area. including discounted pricing to boost sales, and extended payment terms. Frimax has won the Shoprite Checkers Best National Supplier Award repeatedly, and an Institute for Quality award recognising its contribution to skills development. In 2017, Frimax Foods received the trade sector award in the Standard Bank KZN Top Business Awards. Our Philosophy: "Quality and affordable products made for everyone!"